Feature: Refreshes and cools the skin, Keep baby soft and dry. 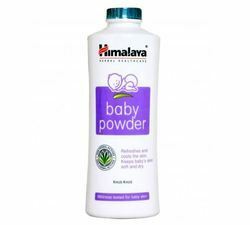 Aimed at a prosperous growth in this domain, we are instrumental in offering an excellent quality range of Himalaya Baby Powder. - Olive Oil, enriched with vitamin E, nourishes, protects and softens skin and prevents chafing. It has soothing and antimicrobial properties, which keep your baby's skin healthy and soft. Our company holds immense experience in this domain and is into presenting a supreme quality range of Himalaya Baby Powder to our customers. 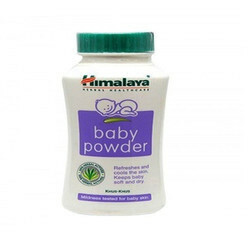 This Himalaya Baby Powder eliminates dry skin and keeps baby’s skin moisturized. In addition, these products are available as per the diverse requirements of our clients. - Olive Oil, enriched with Vitamin E, nourishes, protects and softens skin and prevents chafing. It has soothing properties, which keep baby's skin healthy and soft.